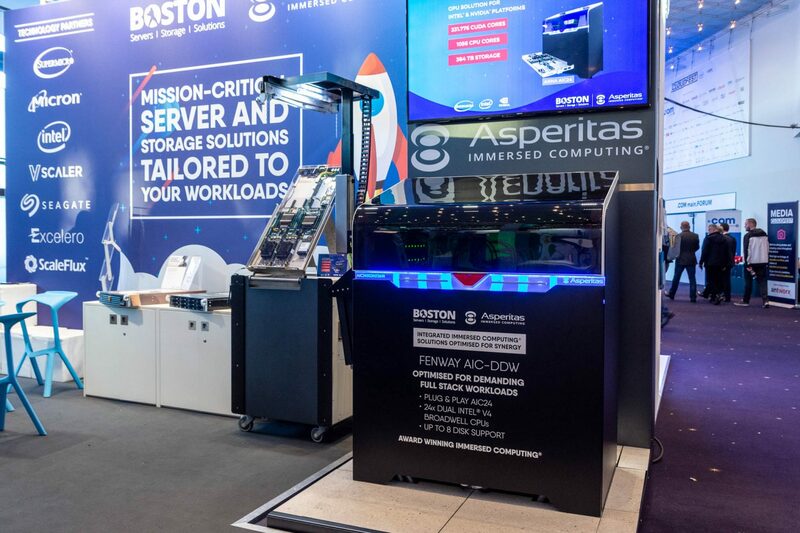 Global systems integrator Boston and liquid cooled ‘Immersed Computing’ provider Asperitas have taken their partnership, announced at CloudFest 2018, to another level with the introduction at CloudFest 2019 of four plug-and-play solutions for cloud and compute for CPU and GPU workloads. The solutions are optimized for different purposes, ranging from generic platforms with full stack support and extensive integrated storage, to high-density compute and GPU compute applications. Two of the four Immersed Computing powered solutions are developed around high performance AMD EPYC 7000 series CPU’s. The Fenway AIC24-DSI would be offering an ideal platform for generic purposes and cloud with 1536 compute cores, 48TB of memory and up to 960TB integrated storage units. The second AMD EPYC based solution, the Fenway AIC24-DST, offers a high density compute platform, with 3072 compute cores, 96TB memory and 768TB integrated storage units. This would be a good fit for HPC users requiring high density and performance in their data center environments. All solutions delivered by Boston and Asperitas are designed and optimized for synergy between server systems and this unique Immersed Computing technology concept for optimal performance. The third solution brought to the market, ANNA AIC24, is an Intel and NVIDIA based solution developed for high density compute applications with GPU workloads. This solution offers 1056 CPU cores and up to 331.776 CUDA cores on the 72 integrated GPUs originally developed for HPC users. As the demand grows for GPU both in the cloud and on premise, it would be an attractive choice for service providers and enterprises. The last solution presented at CloudFest 2019 is the Fenway AIC24-DDW; a multi-purpose data center solution for cloud platforms including a high amount of integrated storage up to 960 TB and 1056 compute cores. All Immersed Computing-powered solutions announced at CloudFest 2019 have been developed based on actual customer needs from different industries, ranging from cloud service providers, enterprise and high performance computing. 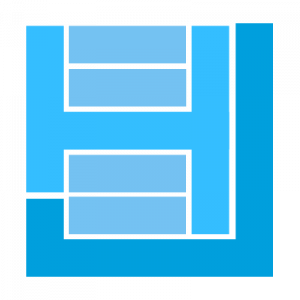 Each solution would offer a wide range of flexibility in terms of deployment. These four solutions are available as fully contained stand-alone systems for enterprise, through to large-scale and mixed purpose data center deployments in any climate. The solutions would benefit from the full potential of Asperitas’ liquid cooled Immersed Computing technology, offering solutions without noise, without overhead energy and allowing for a potential continuous performance boost “of up to 40% more CPU performance compared to air chilled solutions.” Last but not least, each system can be utilized for heat reuse using water from warm water-cooling technology.